Out with the old, and in with the new! We know the importance of up-to-date websites that are not only responsive and mobile friendly but easy to maintain in-house. 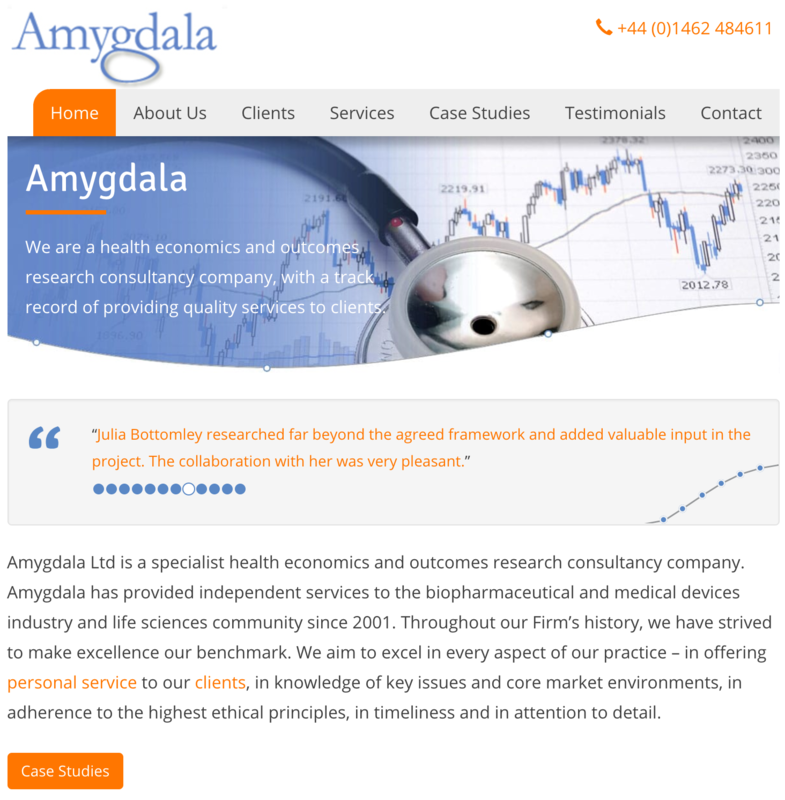 Amygdala Ltd is a specialist research consults in health, economics and outcomes. 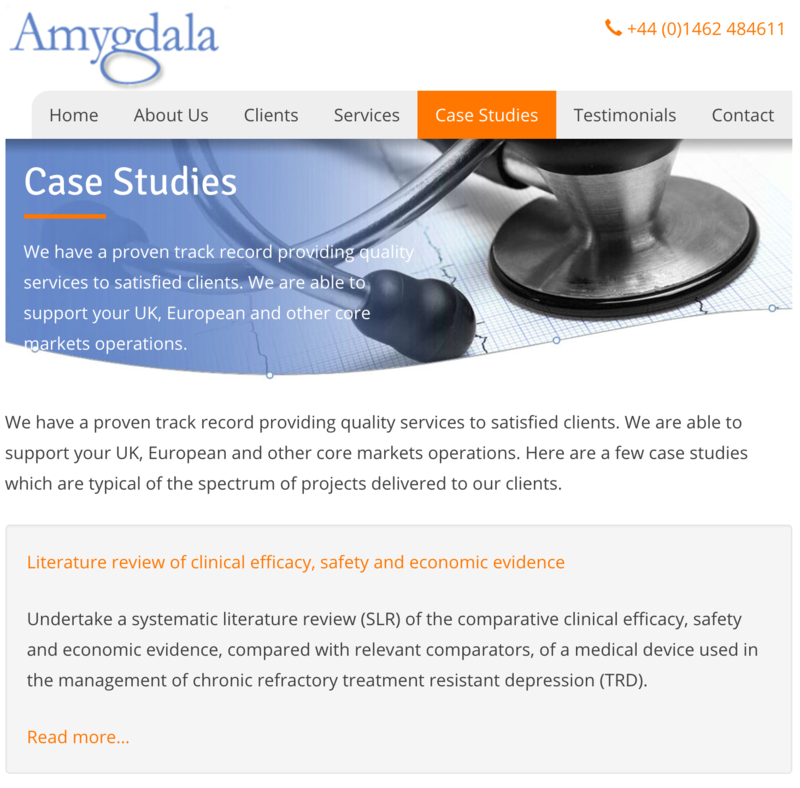 In 2005 as a result of word of mouth recommendations, we first designed and built a website for Amygdala to explain their specialist services to the Healthcare sector. Over the years the content on the website was updated to contain more case studies and the latest information. 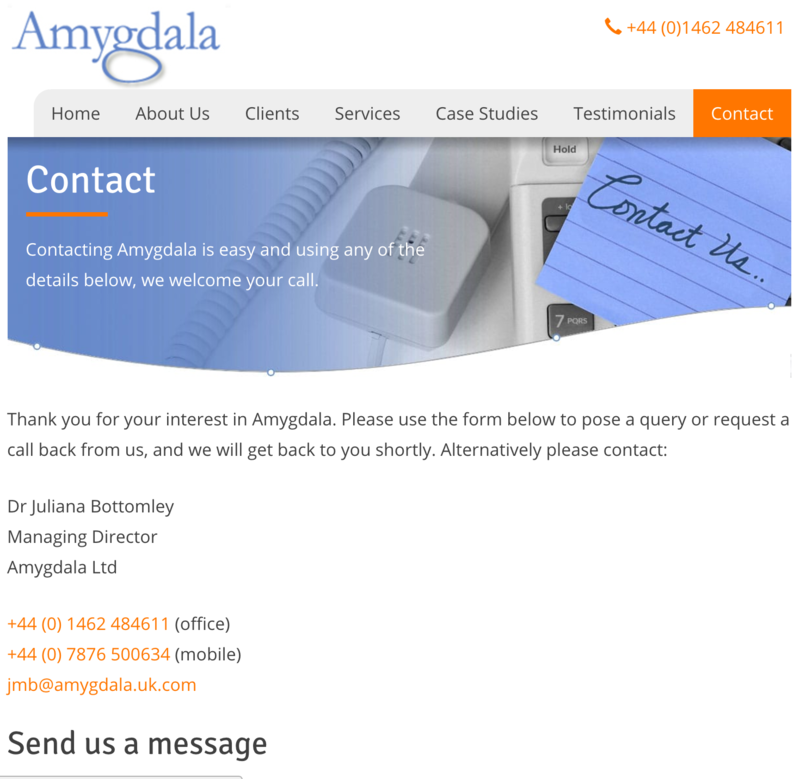 The site however was using old technologies and not mobile friendly, it had no SEO in place and Amygdala had to ask us to make amendments and content updates. As the world has moved on, it is now imperative for companies to respond immediately to their environment, not wait for agencies to put the amends into their schedule! We discussed and listened to their needs and explained the pros and cons of updating the website to accommodate new technologies. At SBM we understand the thought of starting your website from scratch can be daunting and feel as though you are stepping into the great unknown, but as we had previously built the company’s site, we were able to decide on a level of complexity that would suit the needs of the company. The brief was to take the same content and make the site responsive, and mobile friendly. We then added the complexities of modern browsers, search algorithms whilst working closely with Amygdala to make the content SEO friendly and ensure the ‘behind the scenes’ managing of content would be easy for them to maintain. If your website is not responsive and you’re aware that your site rankings could be improved, we can offer you sound advice on how to get the most from your money and move along with technology. It doesn’t have to cost the earth, our advice comes free with no obligations. Feel reassured talking to us, call now to see what’s available for your company.